'Canada's best toilet' being installed in Smithers, B.C. The community of Smithers has decided to buy a Portland Loo, a public toilet designed by the city of Portland to solve common problems with other outdoor facilities. It's been called the perfect public toilet and the best toilet in Canada and now Smithers, B.C., is getting its very own own Portland Loo. "It seems to have got a lot of the design aspects of a great public washroom right," said Mayor Taylor Bachrach, in explaining the decision from the community's finance committee. "It's very small, it doesn't have a sink so people's time in the facility is shorter," Bachrach told ​Daybreak North host Carolina de Ryk. "While there's a lot of visual privacy, they've also tried to not make it a place where you're hiding away and you can do whatever you want," said Bachrach. 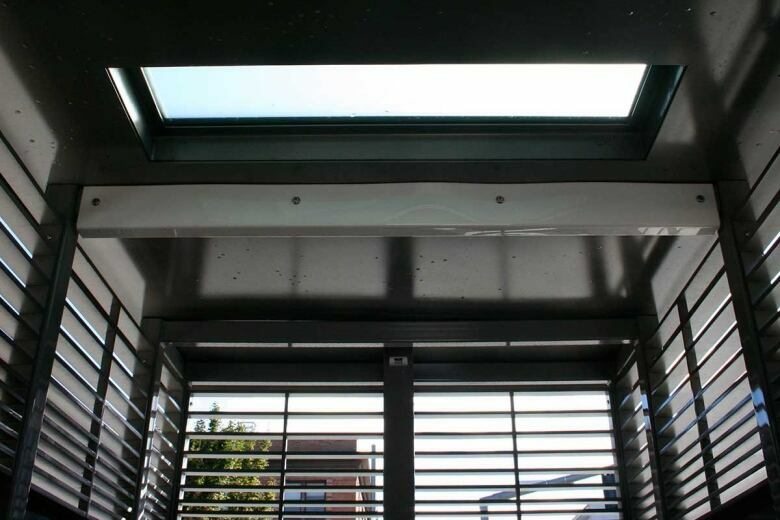 The units are also lightweight, made of stainless steel and come with graffiti-proof coating in order to require minimal ongoing maintenance. Bachrach said he hopes the toilet will play a key role in Smithers' development. "We want our downtown to be a great public space, and great public spaces ... need public washrooms," he said. "And there are a lot of public washrooms out there, I'm sure your listeners will agree, that are either disgusting or downright sketchy." 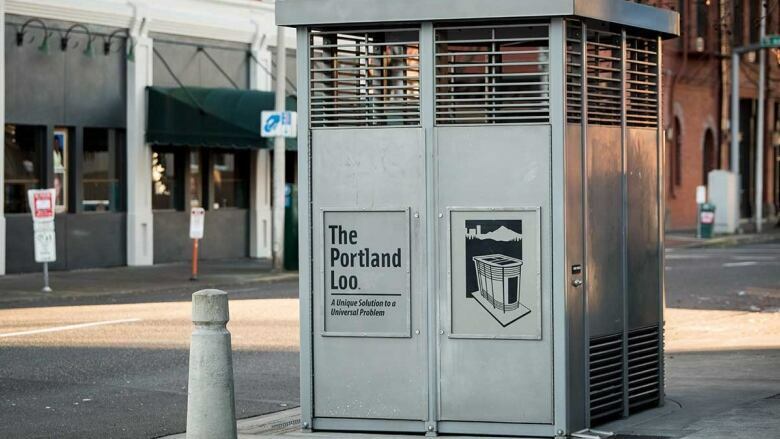 The community has been using an off-street port-a-potty in the summer months, but council voted to purchase a Portland Loo after hearing about its success in other communities as a year-round facility. 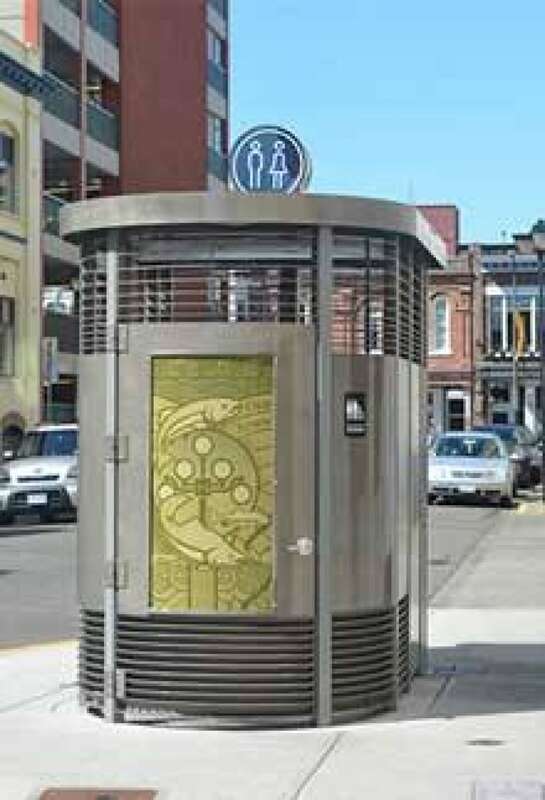 Notably, a unit installed on Langley Street in Victoria was voted the best public washroom in Canada. One challenge with bringing the Loo to Smithers could be the weather. While current units are rated for use down to -15 C, Smithers is looking into retrofitting them to accommodate for Northern B.C. winters that often dip to below -20 C.
Bachrach said he hopes to have the Portland Loo installed in Smithers' Bovill Square by this summer. To get more stories from northern British Columbia, join the Daybreak North Facebook community and subscribe to the podcast.